"but he told us that he loved us and he wanted us to know he loved us a lot and more or less about what was fixing to go down." --- . Reporter: Have you heard from him since this all started? Casey Parsons: Yep. He is- he come before this started, he come over here, would eat dinner with us and everything. Matter of fact, he was over here the day before, July the 29th and ate supper with us. Scott got him a new truck and everything. New clothes, and all this. It's helped him out and we thought he was really coming along. And, on July the 30th, we knew something was up, we told the people yesterday, cause he called here and he told us that, um- he talked to him, but he told us that he loved us and he wanted us to know he loved us a lot and more or less about what was fixing to go down. We didn't know what he meant by that. And he- he loved us. And then, later on that evening when this started we knew exactly at that point what he meant then, what that phone call was about. "Some of the calls regard domestic disputes but the first day that caught Channel 9's interest was July 29. 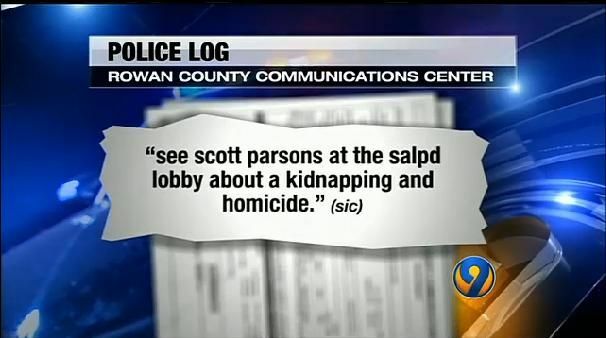 On that night around 11:50 p.m, the report states that a deputy should see Scott Parsons, who is Erica's uncle, in the Salisbury police department lobby about a "kidnapping and homicide." "A deputy went to the house with a DSS agent and assisted with an interview with the father there who 'acted as if he did not know any information on the whereabouts of the 16-year-old girl in question.'" --- . 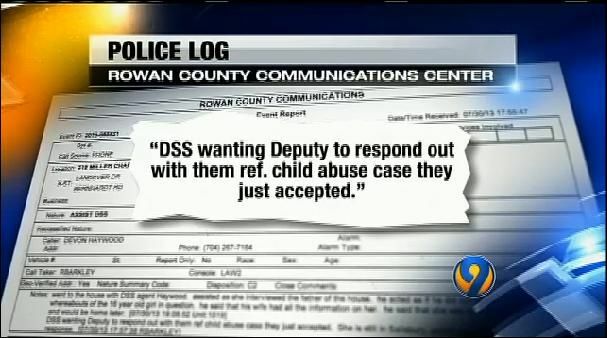 "But the next day, July 30, a report from just before 6 p.m., mentions the Department of Social Services saying the agency wanted a deputy to respond out regarding a child abuse case they just accepted. About an hour later around 7 p.m., an entry was made in the 911 report, saying, "A deputy went to the house with a DSS agent and assisted with an interview with the father there who 'acted as if he did not know any information on the whereabouts of the 16-year-old girl in question.'" "The log goes on to say the father said his wife had all the information on her and she was at a Jonas Brothers concert and would be home later. Jamie Parsons discovered his sister Erica Parsons missing from the family home. "That on July 30, 2013 the Rowan County Sheriff's Office received information from James and Scott Parsons that James Parsons' sister hasn't been seen since approximtely November or December 2011." --- . "That on July 30, 2013 the Rowan County Sheriff's Office received information from James and Scott Parsons that James Parsons' sister hasn't been seen since approximtely November or December 2011. James stated that on the morning in November or December 2011 he awoke and realized his sister Erica Lynn Parsons was not at the home. At the time Erica was approximately 13 years of age. James Parsons stated he asked his parents Sandy and Casey Parsons where Erica was at and Sandy and Casey told James that they had been to Asheville, North Carolina and took Erica to her grandmother's residence." "James stated he had not seen Erica since. James also described how his mother Casey and father Sandy routinely abused Erica both physically and mentally. James Parsons also stated Erica was adopted at birth by his parents Sandy and Casey Parsons. 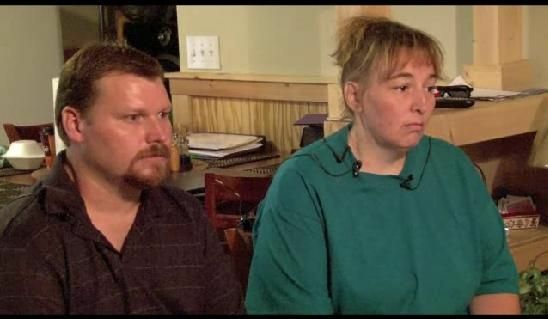 James Parsons further state that after this time when Erica disappeared from his home Sandy and Casey Parsons continued to receive checks for Erica from the State of North Carolina." “I think she, as well as her husband are psychos, nuts, liars." "Carolyn denies she introduced Casey and Sandy to Irene Goodman and in fact said Goodman does not exist. “I don’t know Nan or Irene,” Carolyn said." --- . “Carolyn said her mother died in 1996 of a heart attack and her adopted parents didn’t know Erica. "Casey and Sandy have not responded to repeated requests by the Post for an interview. Their attorney, Carlyle Sherrill, said Tuesday he didn’t know anything about the couple traveling to New Orleans." 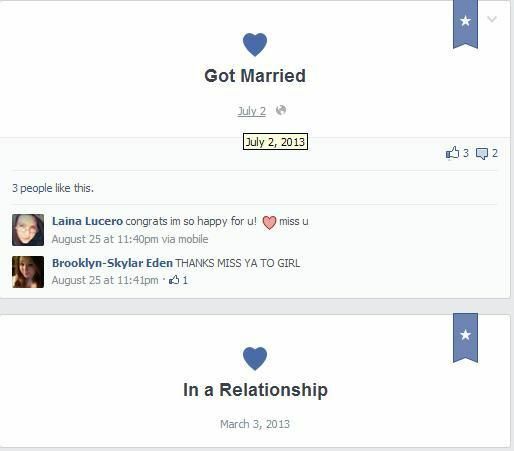 "Carolyn Parsons said she doesn’t know why the couple would travel to Louisiana. “She has had no contact with me. I didn’t know anything about it,” Carolyn said. Carolyn said she was told Casey was traveling to Louisiana to see her, not to find Erica. “I think it’s sad and pathetic. You’re running in the opposite direction,” Carolyn said." "Carolyn told a Post reporter on Tuesday she has not spoken with Casey since July 30. During her time in Rowan County, Carolyn said, all she heard were lies from Casey." "Carolyn said she hopes that if Erica is reading the newspapers or hearing the news reports, that she knows she is loved. “I want you returned safe, unharmed and OK. Don’t be afraid to reach out. I promise you, you will not be hurt anymore,” Carolyn said speaking to Erica."